Deryn Rees-Jones was born in Liverpool in 1968. She grew up and was educated in Liverpool, spending significant parts of her childhood in Eglwysbach, in North Wales. She read English at the University of Bangor and continued her academic research at Birkbeck College, University of London. She has published four full-length collections of poetry, most recently Burying the Wren (a Poetry Book Society Recommendation and shortlisted for the T. S. Eliot and Roland Matthias prize). She has collaborated with several artists on projects, including the AHRC funded Poetry Beyond Text, the Poetry Society’s touring exhibition of women’s poetry and landscape Where We Begin to Look, and most recently, a commission by the Ledbury Festival based on the life of the memoirist Helen Thomas which resulted in a book and poemfilm, And You, Helen, with the artist Charlotte Hodes. Critical work on women’s poetry can be found in Consorting with Angels (2005) and the accompanying anthology of poems, Modern Women Poets (2005). Her selected poems, What It’s Like to Be Alive is due from Seren in 2016. She is currently continuing her collaborations with Charlotte Hodes, and developing several new poemfilm projects. As well as continuing her critical explorations of the work of twentieth century women’s poetry, she is also writing a book on the work of the artist Paula Rego. 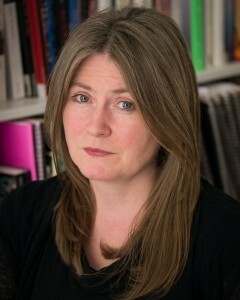 She is the editor of Pavilion Poetry, an imprint of Liverpool University Press, and co-directs the Centre for New and International Writing, based in the Department of English at the University of Liverpool, where she is Professor of Poetry.